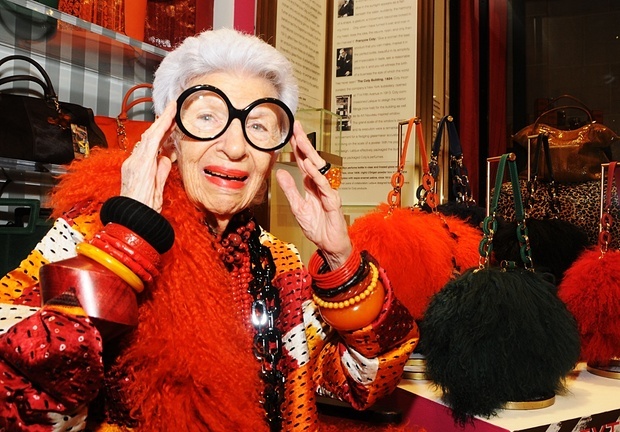 ‘When you don’t dress like everyone else, you don’t have to think like everyone else,’ so comments Iris Apfel, the 94-year-old fashionista and self-styled ‘geriatric starlet’. 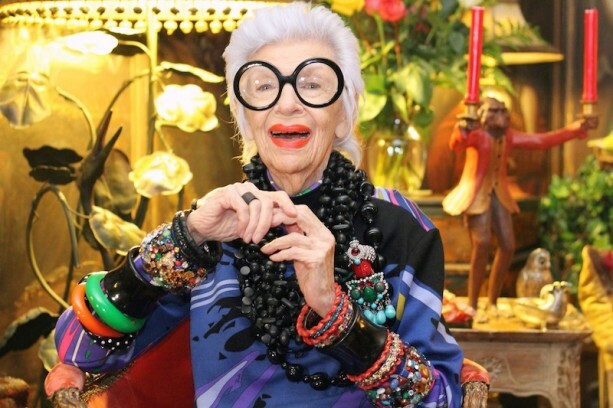 Her movie Iris is full of such nuggets of wisdom, all equally as inspirational as her flamboyant, bird-of-paradise dress sense. It’s all about the pared-back outfit, perhaps with architectural proportions, then build colour and interest with shoes and accessories (for more on that subject, see the next point…). Whether it’s piling on necklaces in similar tones but contrasting shapes to create a 3D effect, stacking bunches of colourful bangles up her arms, or sporting a pair of outsize shades, Iris uses accessories to transform and elevate her look. Her mantra? ‘More is more and less is a bore’… Take your outfit to a new level with a scarf, necklace, bangle or fabulous specs. A skin-flattering pop of colour can make you feel and look amazing. Try experimenting with shades of red, hot pink or even neon. And if you worship at the altar of black, build your colour confidence with a zingy, shoe, bag or scarf. 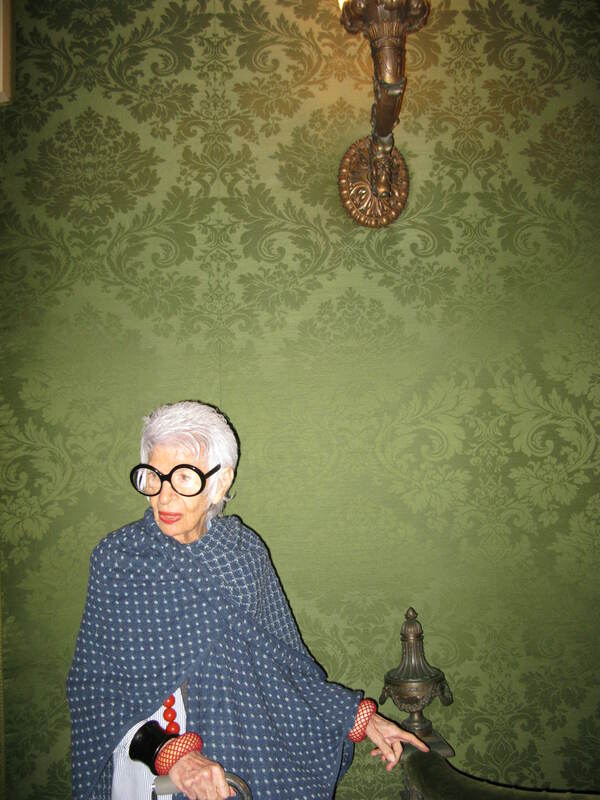 Well so am I, and I was impressed to hear that Iris was one of the first women to wear jeans: back in the 1940s she asked a local workwear store (with only men’s sizes) to run her up a pair of jeans. Since then, denim has become her style staple and the perfect backdrop for her jewellery collection. 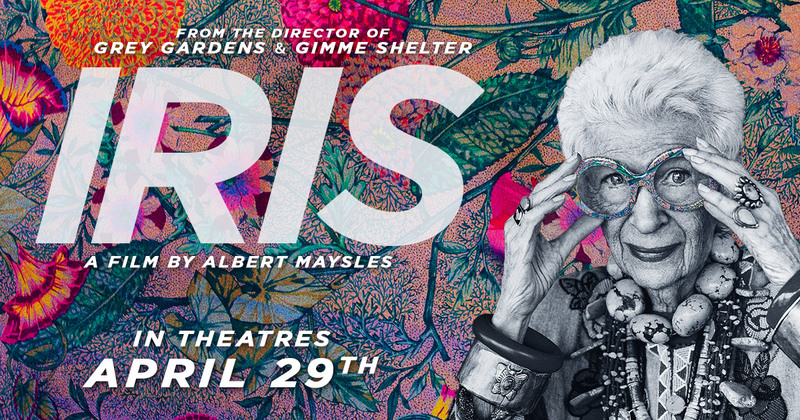 In Iris she sports a variety of funky oversize denim shirts embroidered with cartoon characters, cool denim jackets, and slim dark jeans. This is from a woman who thinks nothing of combining giant owl-shaped sunglasses, mis-matched clanging jewellery and clashing prints. In other words, getting dressed should make you happy – so wear what you want, when you want and don’t overthink it. Do you have any Iris-isms? If so, please post in the comments below.